Always keeping us guessing, alt-J manages to steer clear of assigning their music to one particular genre. Straddling the line between folktronica, art-rock, alternative, and dub-pop, we’ve been in love with their unique sound since they formed in 2007. Their visuals are also mind-boggling, as music videos for tracks like “Breezeblocks”, "Pleader", and "Left Hand Free" have established them as a double threat in the industry. The trio—Joe Newman, Thom Green, and Gus Hamilton—trust what sounds good rather than what category it falls under. Their latest album Relaxer, released last year, is no different. 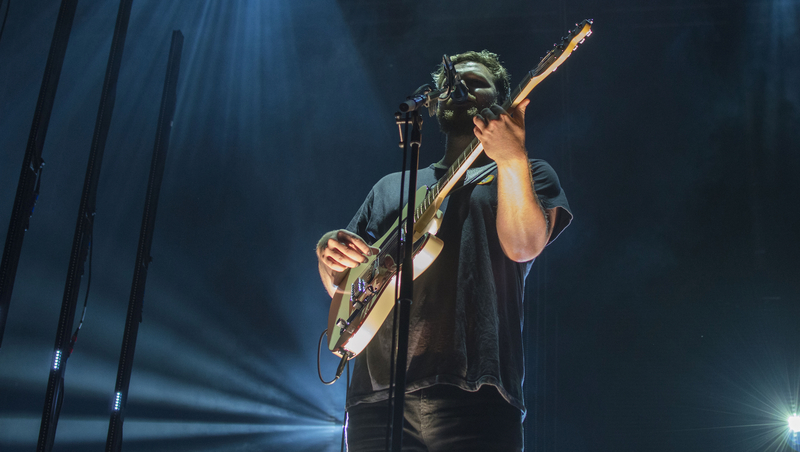 It includes a haunting and emotional rendition of “House of the Rising Sun”, in addition to songs like “3WW” and “In Cold Blood” that hit the nail on the head in typical alt-J fashion. The Leeds natives announced yesterday that they’ll be embarking on a North American tour around their festival dates at Coachella, Firefly, Bonnaroo and Mountain Jam. They’ll be making stops in cities like Chicago, Louisville, and Pittsburgh, and are guaranteed to bring an epic light show along with them. To pump you up for the magic that lies in store for you this spring and summer, we’ve rounded up six of their best live performances. Make sure to track these radical visionaries on Bandsintown to find out when they’ll be coming to a venue near you! As always, NPR’s Tiny Desk Concert series delivers stripped down versions of some of our favorite songs. This time, the boys are backed by a string section, bringing us a bare, honest, and totally unplugged performance. From An Awesome Wave, “Taro” was written about the death of two war photographers in the 20th century. It’s beautiful and raw, as you can imagine, but this performance also brings texture and color to the song in a way that you didn’t even know it needed. It’s nothing short of breathtaking. This is the light and airy antidote that complements the darker songs on their debut album masterfully. This performance is energetic, electric, and gives us the alt-J we live for. We all know “Breezeblocks”, we all love it, and if it’s even possible, we think this live version (performed at Reading Festival in 2013) surpasses the recorded version. Simply put, it is everything. If this doesn’t get you hype, nothing will. This clip shows the track in all it’s full powered, turn-it-up-to-eleven glory. The song is an absolute banger from their latest album, Relaxer, and this live rendition on Conan is unmissable. An unbelievably upbeat song that was written about two of the band members’ “deadcrushes” who they claim are Anne Boleyn and Lee Miller. Another fantastic track from Relaxer, and you’d better learn the lyrics now because we’re sure you’ll be wanting to belt it out with us all summer long.